Dwight – JoAnn (Norris) Patterson 72, of Dwight, KS, peacefully passed away May 15, 2017, at Stormont Vail Hospital. 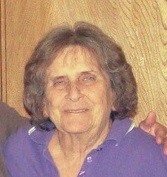 She was born August 25, 1944, in Gardner, KS, to the late Eugene R. and Marie C (Powers) Norris. She grew up on a farm outside of Edgerton. She married Charles Patterson on February 23, 1963. She was preceded by her parents; two brothers Bill and E. Mick Norris; and a sister Rosie Mayfield. JoAnn is survived by her loving husband Charles Patterson, and three daughters: Pam Patterson of Dwight, Kim and husband Marshall Hicks of North Carolina, and Lisa McCoy of Abilene, KS; 8 grandchildren, who adored their grandmother: Anthony and wife Kelly Patterson, Suzanne and Curtis Hicks, Timothy Moyer, Brandon Moyer and fiancé Kelly Smith, and Alexis McCoy; and brother John and wife Dale Norris of Texas. A visitation for family and friends will be held on Thursday May 18, 2017, from 6 – 8pm at Zeiner Funeral Home in Council Grove. Graveside services will be held at 11:00am, Friday May 19th, at St. Columbine Catholic Cemetery, in Edgerton KS. Memorial contributions may be made to the American Heart Association or American Lung Association. They may be sent in care of Zeiner Funeral Home, PO Box 273, Council Grove, KS 66846.